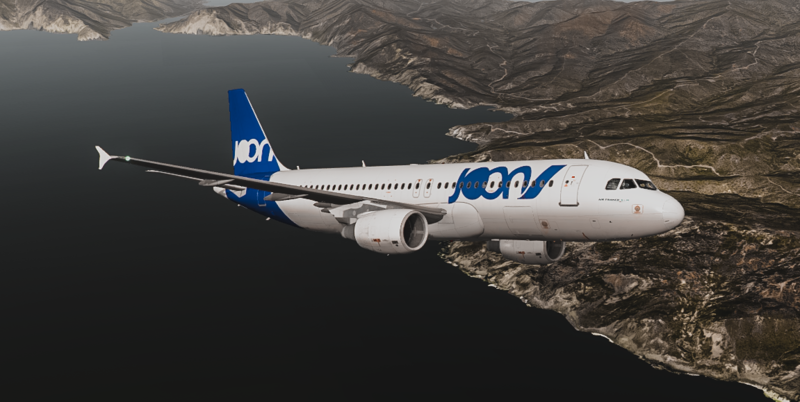 12th April, the BBC announces that the International Airlines Group (IAG) has taken a stake in Norwegian with a view to a possible full takeover. “British Airways´ owner considers Norwegian bid”. This has been rumoured as a possibility for months, especially after Ryanair´s CEO,Michael O´Leary, questioned Norwegian´s viability. IAG taking a 4.6% shareholding in Norwegian is another step in the changes taking place in the European airline market. Read CAPA´s analysis of the possibilities in any merger of the two groups (24th April 2018) "IAG and Norwegian Air begin to tango". The demise of Monarch and Airberlin together with the bankrupcy and probable break up of Alitalia have provoked movements in the European market. Other airlines immediately stepped into the gap left by Monarch. Airberlin has been split up with Lufthansa gaining aircraft, aircrew, slots and ancilliary services. IAG seemed to have won the auction for the Airberlin subsidiary, Niki. However, an Austrian court deemed that as an Austrian airline Niki´s auction should take place in Austria. The resulting winner of the auction was Niki Lauda, the airline´s founder with a company called Laudamotion.This operation was subsequently found to be financed by Ryanair who want to take over Niki and turn it into Ryanair Austria with at least a 75% shareholding.Whether Laudamotion will retain its name or not is unclear. Elsewhere, Alitalia has several suitors including Easyjet, but the others are not specified. The launching by IAG of LEVEL and JOON by Air France-KLM both in 2017, seem to be counter moves to Lufthansa´s relaunching of its subsidiary Eurowings as a cheaper alternative from a selection of European as well as German cities for both short and long-haul operations.Lufthansa wants to incorporate its subsidiary, Brussels Airlines, into Eurowings but has still not come up with a satisfactory solution for the long-haul flights which are operated as a full service airline. Qatar Airlines increased its investment in other airlines by buying 49% (the maximum permitted in Europe for non-European airlines) of Meridiana. 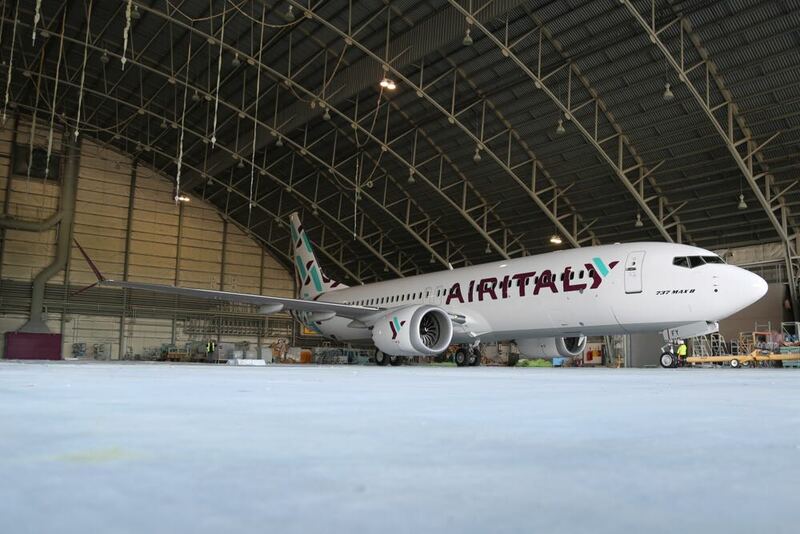 It has relaunched the airline as a full service one with the name Air Italy. Initially, at least,the international long haul flights will operate from Milan. However, code shares are already in place with Qatar Airlines from other centres such as Rome, Venice and Pisa. LEVEL was set up by IAG in 2017 to operate flights from Barcelona. It now flies to five destinations from there. The flights are operated by Iberia crews. A second hub is to open in 2018 at Paris Orly to offer flights to four different destinations. That way, initially at least, there will be no competition between the two hubs. The operation will take over the flights of the BA subsidiary Open Skies, which has been less successful than hoped for, and be operated by its staff. In future years LEVEL will open more bases throughout Europe. Various questions are posed. Any Norwegian takeover will fill in many gaps in IAG´s European network but not in the East so what are they planning on doing about that? Will they retain Norwegian as a seperate airline or merge it with Vueling? I would think maintaining Norwegian seperate would be wiser as then there would be two main bases – one in Southern Europe and the other in Northern Europe (different cultures, different attitudes, different approaches to problems).If one remembers the takeover of Aer Lingus by IAG the Irish government fought hard and strongly to ensure the airline was not shut down or reduced in size. Have no doubt the Norwegian government will do the same with any competitor taking over Norwegian. The flights to and from the northern Norwegian towns are really necessary lifelines. Would Norwegian´s long-haul flights be split off and merged into LEVEL, or would it be the other way round? Merging them into LEVEL would make for a better long-haul operation.It could then just concentrate its energies on developing the long-haul networks, from both northern and southern Europe, and so not be distracted by internal European matters. What would be done with the long-haul operations which compete with the legacy airlines of IAG – BA, Iberia and Aer Lingus? Or would they be considered complementary? The logical answer would be to use other bases in Europe which are not a direct threat to the legacy airlines in the group - thus anywhere except London Heathrow, Dublin or Madrid. What will be done with the Norwegian Argentina operation? A potential 152 routes, already granted in that country, would pose a strong threat to oneworld partner LATAM Argentina.It is difficult to see these routes being kept on. Norwegian estimated they would need US$4.3bn. over 10 years to develop the routes reaching about 60 aircraft after 12 years. That is a lot of money to be saved to bring down the airline´s debt. LATAM would surely be glad to take over the routes but the Argentinian government might have something to say in that. This is potentially a very interesting takeover but with great difficulties to be sorted out. What will IAG´s biggest shareholder (Qatar Airlines) have to say, especially as it also has a shareholding in LATAM? Another point not considered yet is any competition to IAG for Norwegian from other potential suitors. Ryanair, Easyjet, Vueling, Wizz, Blue Air, Germania, Primera Air as well as Norwegian (without taking into account other smaller competitors)makes one consider that there are too many LCCs in the European market. 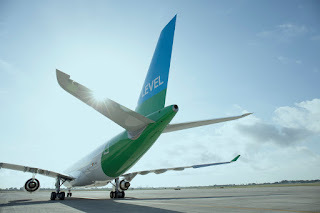 Of the the main groupings IAG has Vueling and Lufthansa has Eurowings, which it is growing quite agressively, Air France-KLM has Transavia and the pledgling JOON so seems the less well placed to take advantage of the LCC short and long haul markets. Thus I would consider AF-KLM as a possible competitor for IAG with nothing to lose and a lot to gain. Easyjet is also well placed but is involved in an attempt to take over part of Alitalia. If it is really interested in Norwegian then it might have to drop its interest in Alitalia. Easyjet, on the other hand,is not standing still and has already extended the Gatwick Connects service to other airlines. Air Europa has already been signed up and others are talking about joining the scheme.Thus it does have its worldwide connections. "Easyjet goes global with new connections service" (Breaking Travel News - 13th September 2017) As this service is planned to operate for Easyjet from other European airports, such as Milan Malpensa, Geneva, Amsterdam, Paris Charles de Gaulle, and Barcelona, it might not be so concerned. 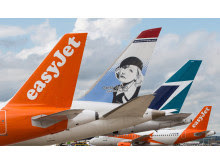 "Four New Carriers join Worldwide by Easyjet" (Breaking Travel News - 29th September 2017) : NEOS,(an Italian long-haul airline), Aurigny, (European flights from Guernsey), La Compagnie (Paris to New York premium flights), and Corsair (long-haul flights from Paris). Wizz is also strongly based to gain from consolidation with Norwegian but probably lacks financial muscle to go through with it. It is an airline which flies to a lot of secondary airports. Therefore, if Wizz wishes to remain independent then a potential merger partner would be Volotea which operates a similar model in France, Spain, Italy and Greece. This would make the two airlines complementary. 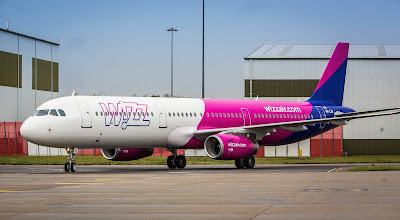 The main hub for Wizz is Budapest where a large number of flights originate.Thus if the airline did not have long haul operations then an interline agreement with one of the other operators would be most beneficial to both, be it LEVEL, Eurowings or Transavia, or whoever. There is another question which remains.What will happen to the legacy airlines that remain independent. Finnair is firmly established in the oneworld alliance. It is unlikely to change and looks destined to form part of IAG. TAP is in the Star alliance which is dominated by Lufthansa. It was bought recently and is concentrating in improving its connections to South America from Lisbon. SAS is also in the Star alliance but has taken the step to establish subsidiary companies outside Scandinavia.This way it feels it can compete better against Norwegian and other LCCs. Its first overseas base will most likely be, yet again, London. Others will be in places which are not in direct competition to other Star alliance members. LOT is another Star alliance member. The Polish government has been looking, for a long time, ways of selling off the airline. Anything could happen, but it fits well into any of the three airline alliances. Most of the rest are small fry who are anchored into one or other of the alliances and are unlikely to move. That leaves us with the Russian Aeroflot and Turkish Airlines. The first is in Skyteam while the second in Star.These are big enough to stand on their own two feet and do not seem to be interested in joining any closer linkup. To sum up a lot could happen in the next couple of years but most certainly movement will be made in the legacy airlines and the LCCs. In the case of any bid from IAG for Norwegian it smells of predatory purchase with the aim of protecting one´s backyard, particularly London Gatwick. I do not think IAG would shut down the Norwegian´s Gatwick operations because somebody else would step into the breech. It means, therefore, that London Heathrow (LHR) would be devoted to BA while London Gatwick (LGW) would take over all BA operations of IAG under the brands Norwegian and Vueling and even LEVEL. It should also be said that Norwegian´s dominance of long-haul flights from Gatwick is a serious impediment to anybody else setting up operations there. Therefore, though there might well be massive economic benefits to the companies involved through rationalisation and integration, the benefit to be gained by the travelling public might well be limited to a reduction of costs. However, the reduction of offer from British(and other airports) should be a serious concern for competition authorities, especially in the UK but not only. This would be more so in the future. P.S. This article was published by CAPA 2nd May 2018, concerning the attempts to introduce new national airlines in several European countries. "Air Italy leads Europe's national airline branding. What's in a name?"